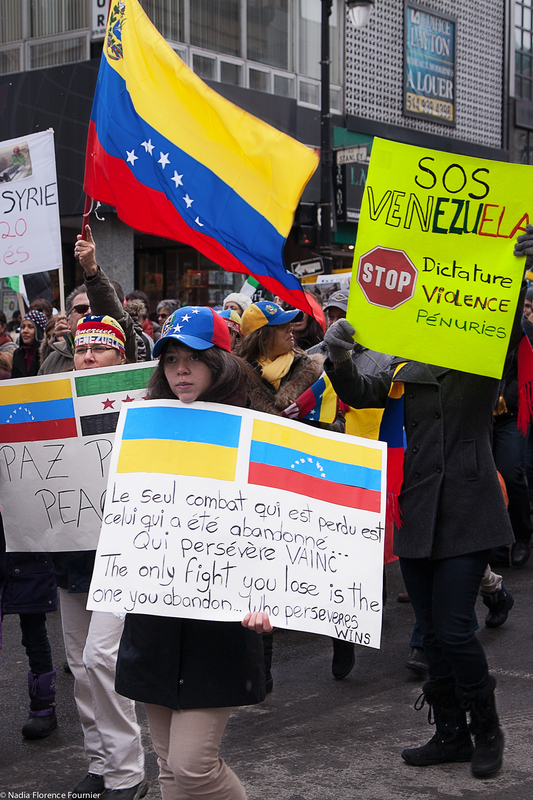 I was walking on Ste-Catherine street one afternoon and I heard loud noises from afar… There was a demonstration to show solidarity with Syria, Ukraine and Venezuela, three countries currently struggling with violence and repression. I rushed to take pictures and managed to take some shots. I wasn’t very happy with the result though. I made the mistake of zooming in too close and some images were too cropped to be interesting. You also have to be fast, as they walked past very quickly, and there was a lot of photographers already covering the event….Photojournalism isn’t easy!